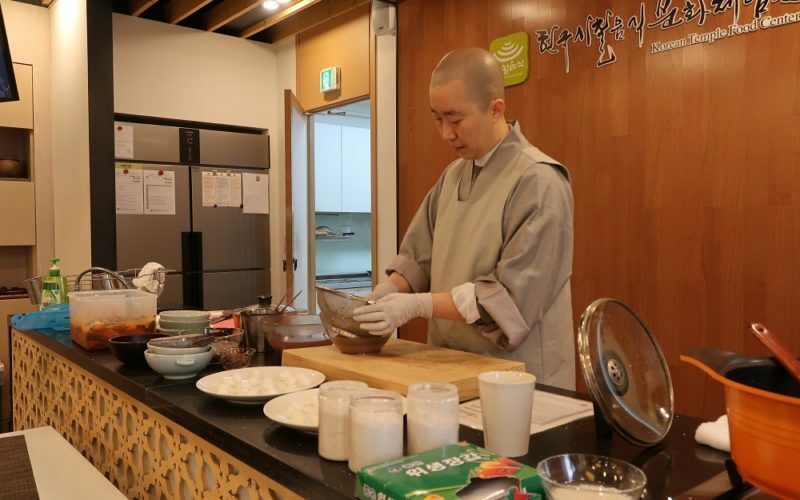 Are you looking for a temple stay and temple food cooking class in Seoul Korea? Would you like to experience the best temple stay on the mountain in Seoul? 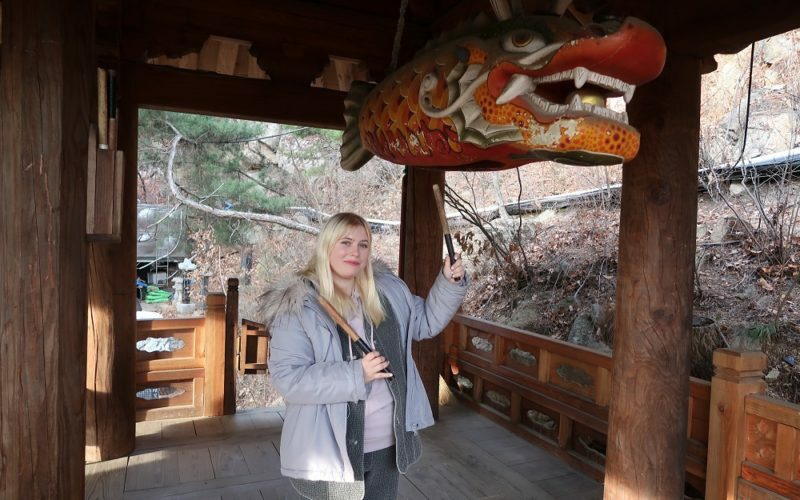 If you are staying in Seoul for a short time but still would like to experience Korean culture as well as history, we strongly recommend you to experience this temple stay for 2 days 1 night or a 1-full day tour. 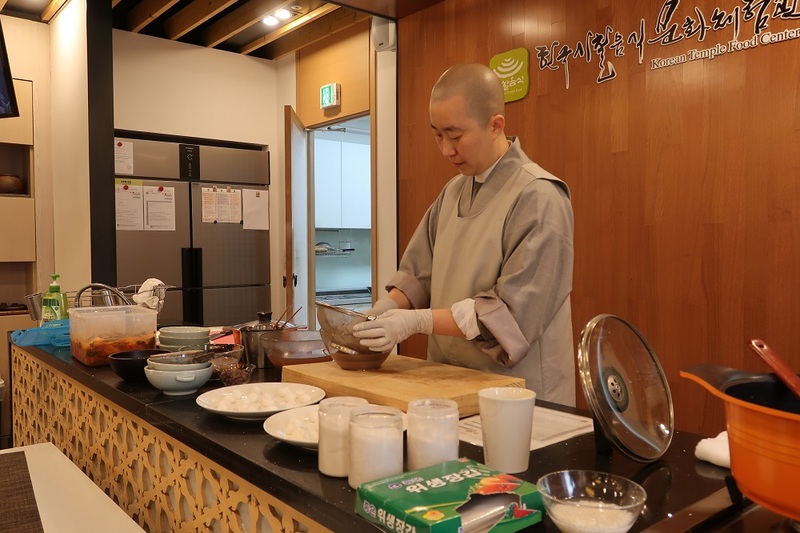 It includes Korean temple food and Korean temple food cooking class where you can try traditional Korean food as well! Also, it includes pick up service from your accommodation! 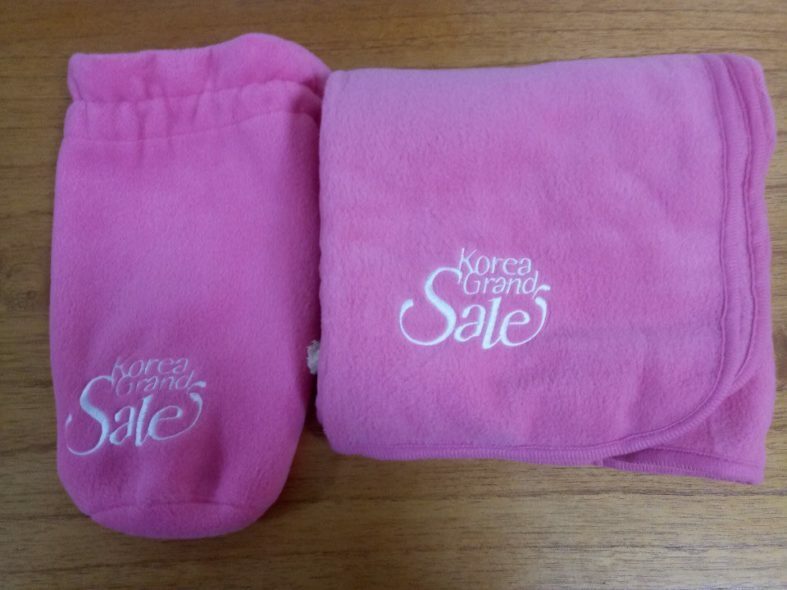 Don’ t miss this chance while you are staying in Korea! 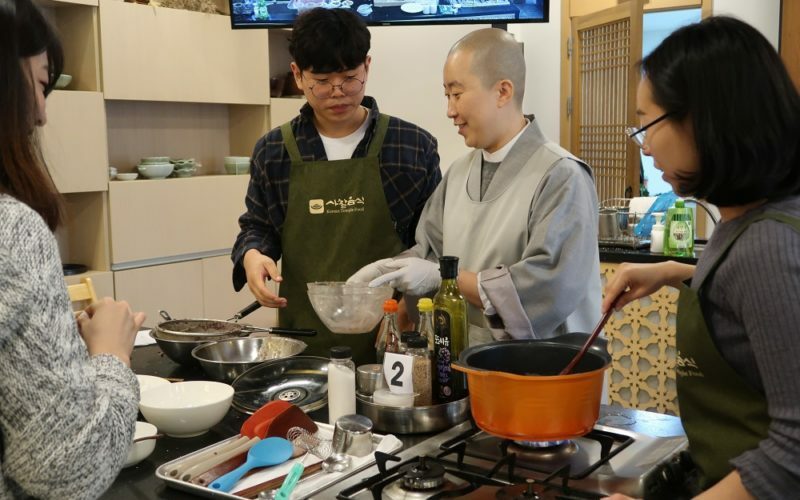 This Weekend Healing Package includes the Temple food cooking class and Templestay experience! Are you looking for a stress-free place to relax? 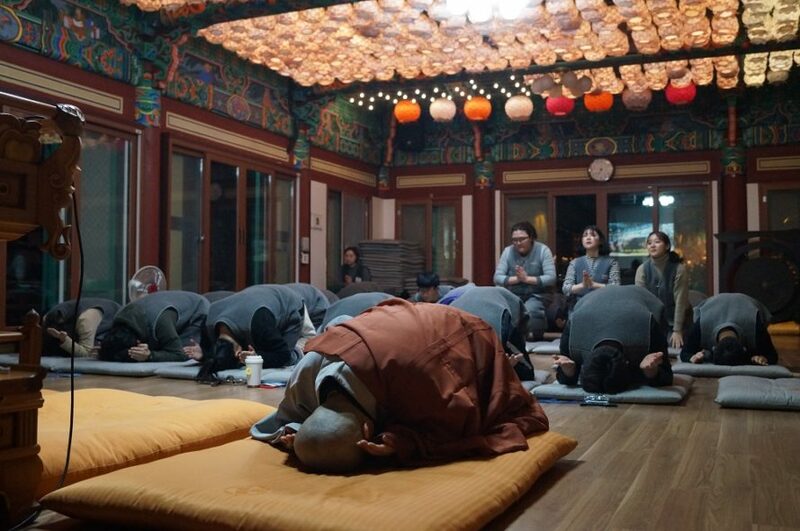 While you are staying in Seoul, you can experience mindfulness meditation and relaxation here! 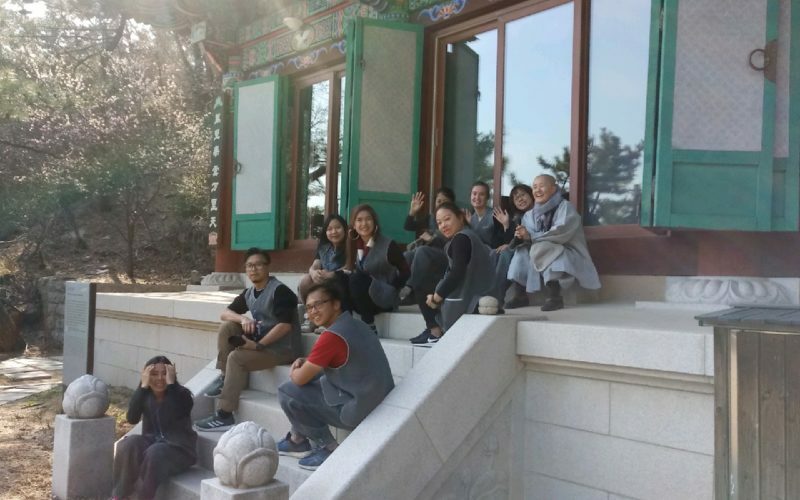 If you enjoyed enough city life and would love to experience Korean wellbeing culture, we strongly recommend this 2 days 1 night or 1 full day tour! 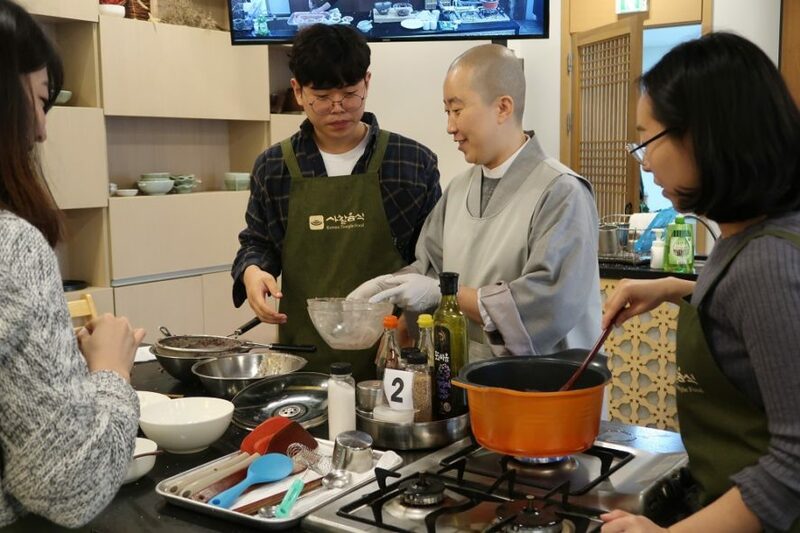 Enjoy KoreaTravelEasy’s exclusive Experiential Templestay and Temple Food Cooking Class Healing Tour! If you select the Weekend Healing Package, you will be picked up from your accommodation! 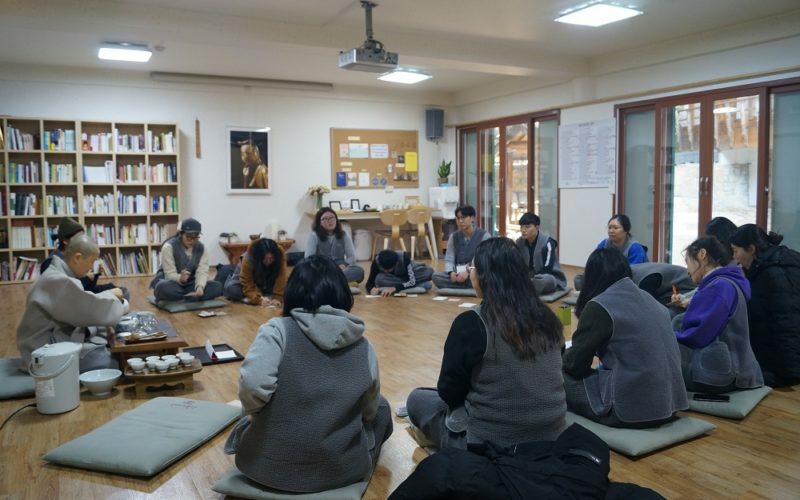 The Weekend Healing Package, you can experience the temple food cooking class as well as temple culture! 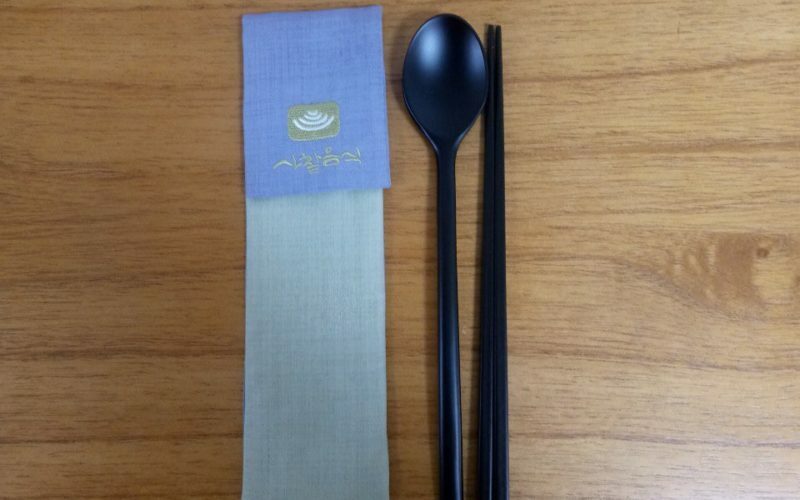 You can taste Korean style temple food which is vegetarian food. (Inc. Meals)! 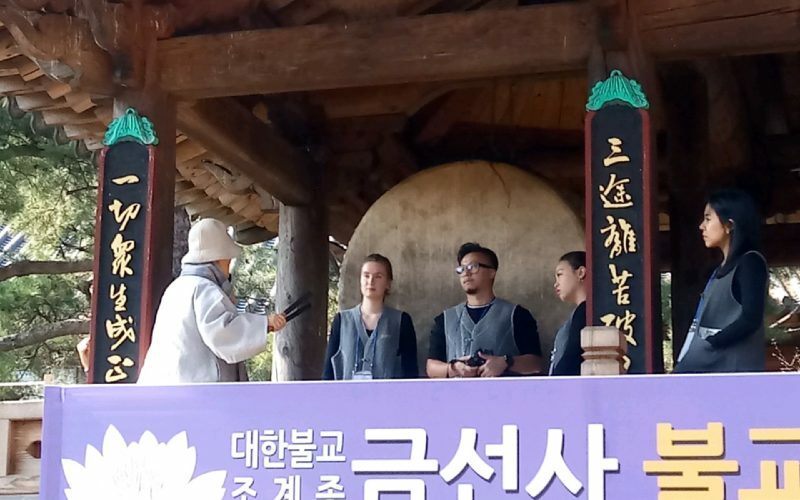 You can experience various temple culture as well as a chance to meet a MONK to release your stress and heal your body. 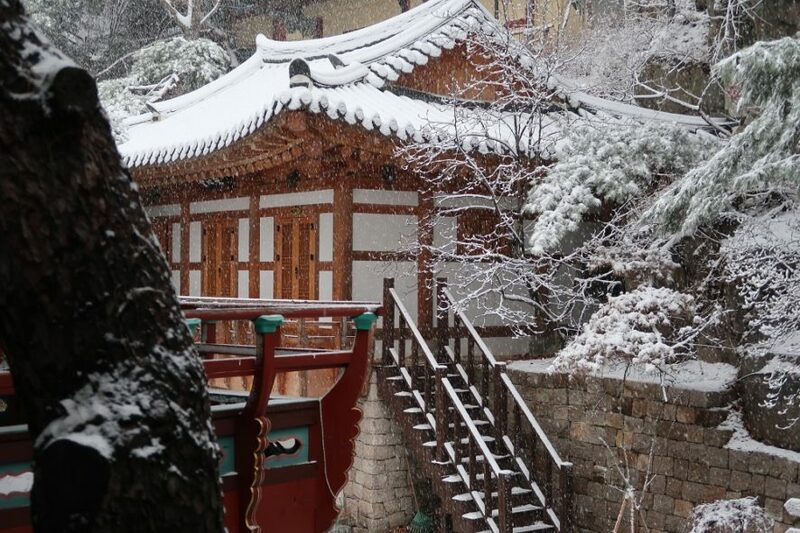 You can feel the Korean Temple atmosphere such as peaceful, quiet and beautiful scenery. 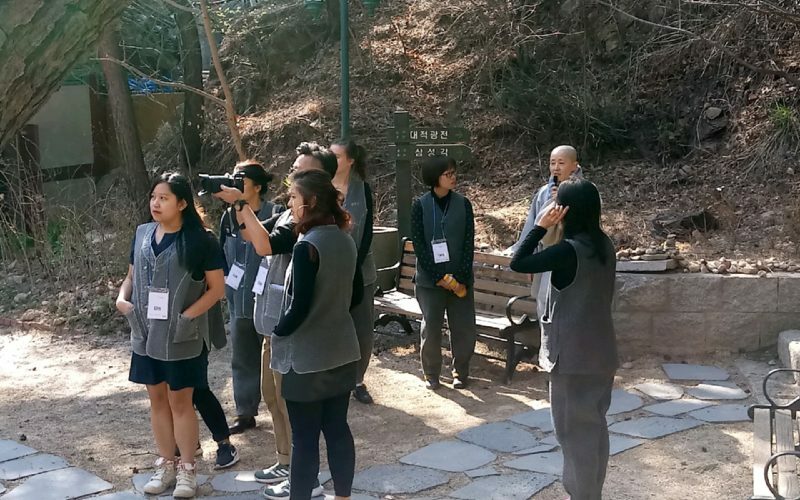 Templestay is a unique cultural program which lets you experience the life of Buddhist practitioners at traditional temples which preserved the 1700-year-old history of Korean Buddhism. 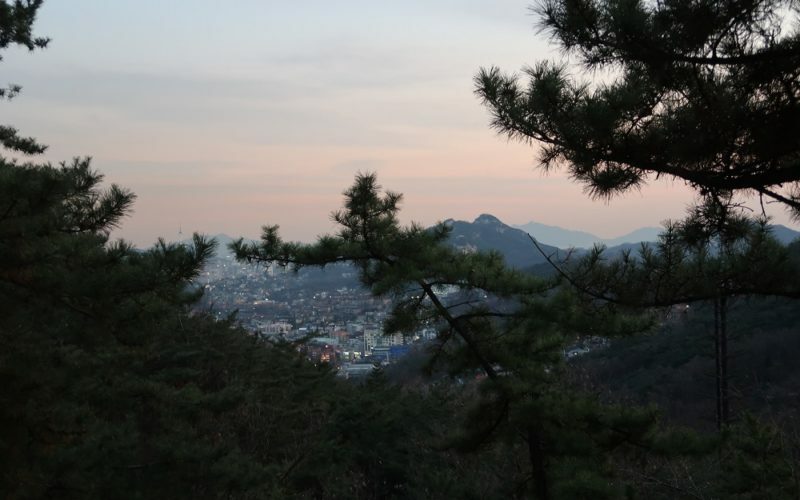 Geumsunsa is located in the middle of Mt. Bukhansan National Park and it has been 600 years of history as a traditional Korean Buddhist Temple. 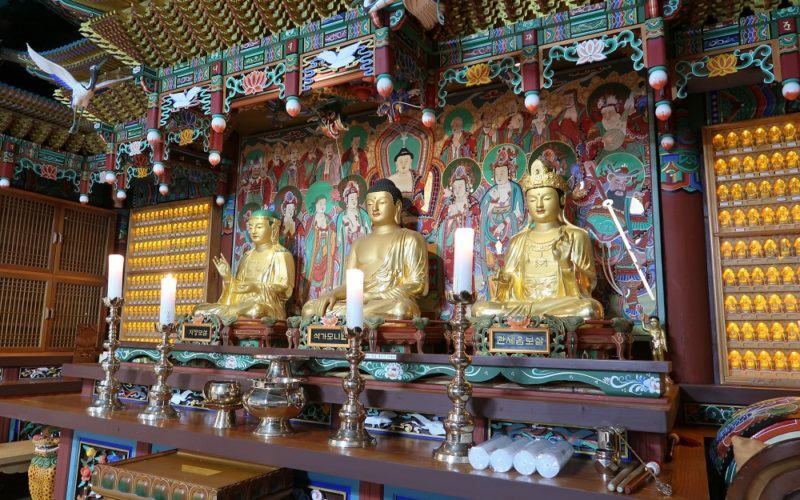 It is one of the beautiful temples in Seoul surrounding nature and specialized as a concentrated SEON(ZEN) Meditation temple. 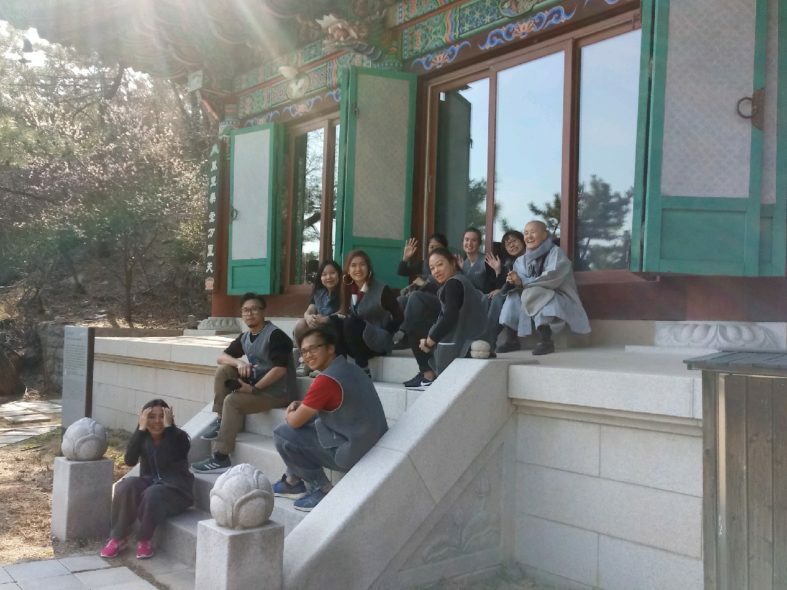 As soon as you arrive at this temple, you will feel a peaceful and quiet atmosphere and a wonderful view of Seoul city from here. 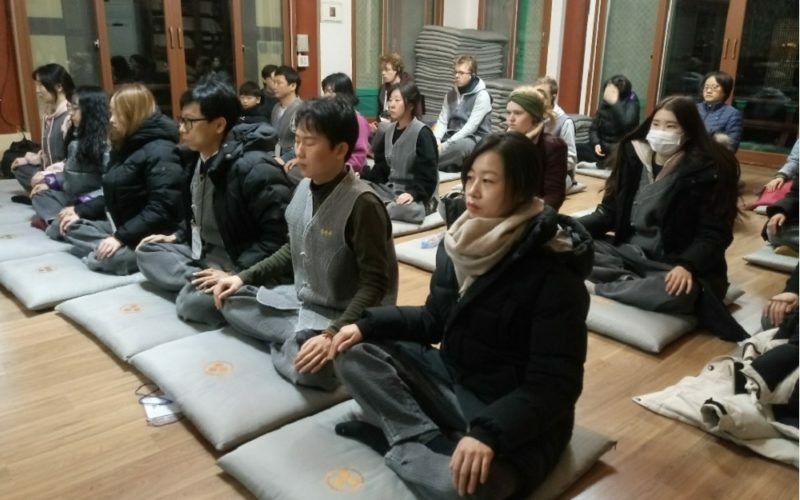 The practice of Buddhism is by lowering myself. 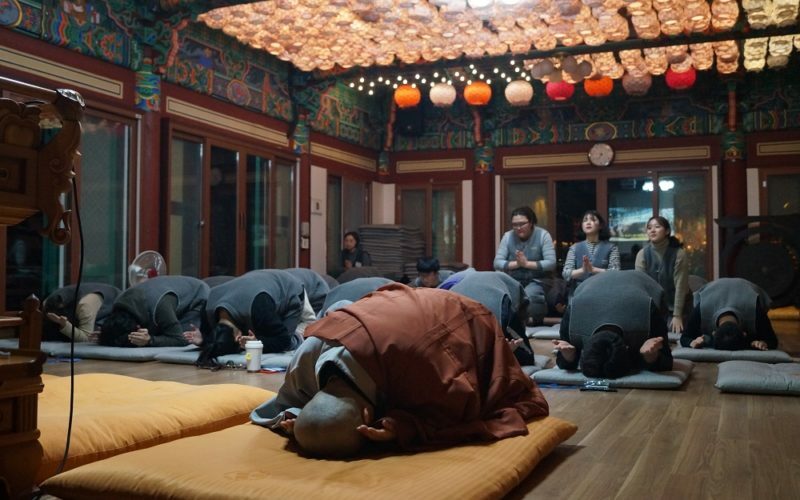 Bowing is to take refuge in The Three Jewels (the Buddha, the Dharma, and the Sanga), respect for others, and keep a humble mind in Buddhism. 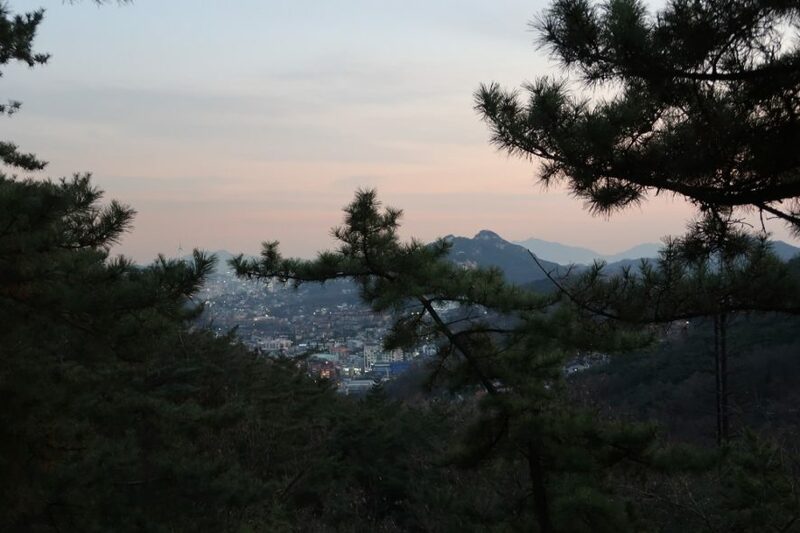 108 defilements represent the worldly sufferings. One bow purifies one defilement. 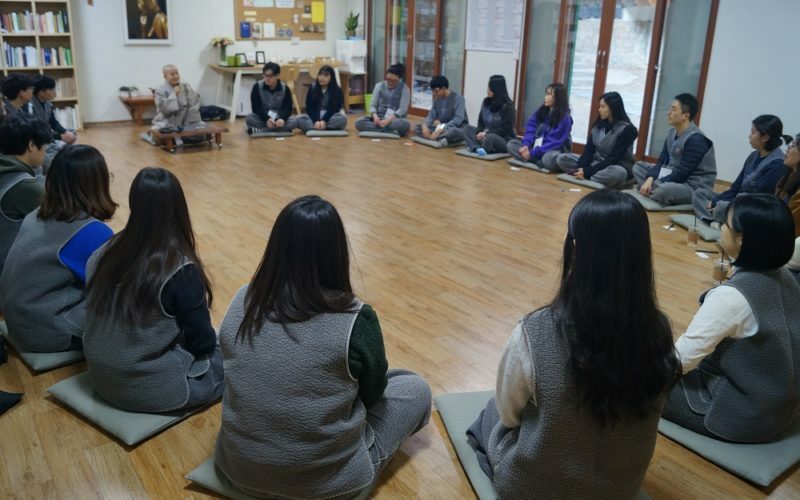 Seon meditation is to cut off all thoughts. 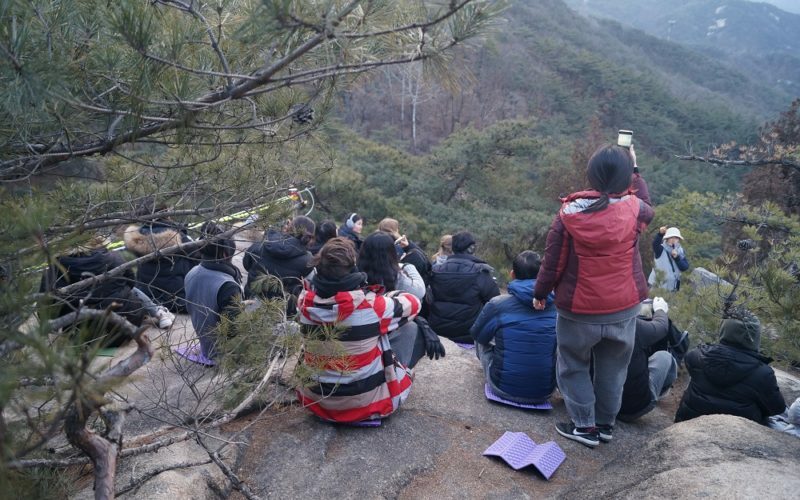 Through Cham-Seon, you can learn mindfulness and concentration. 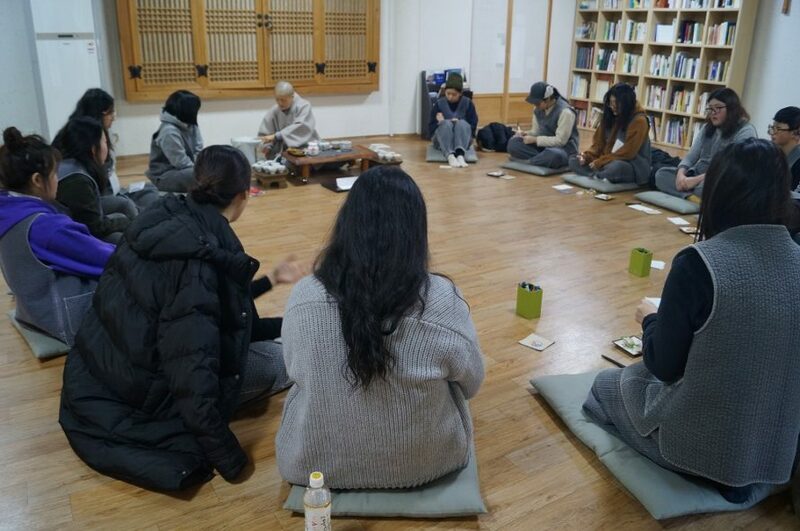 Cham-Seon is an important method of Korean Buddhist practice. 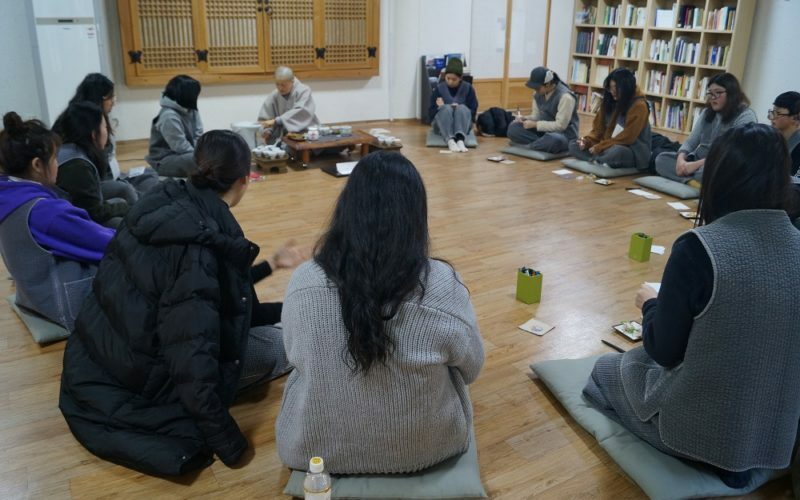 We hope you look for your true nature with concentration and observation through learning the basic of Cham-Seon at Geumsunsa Temple. 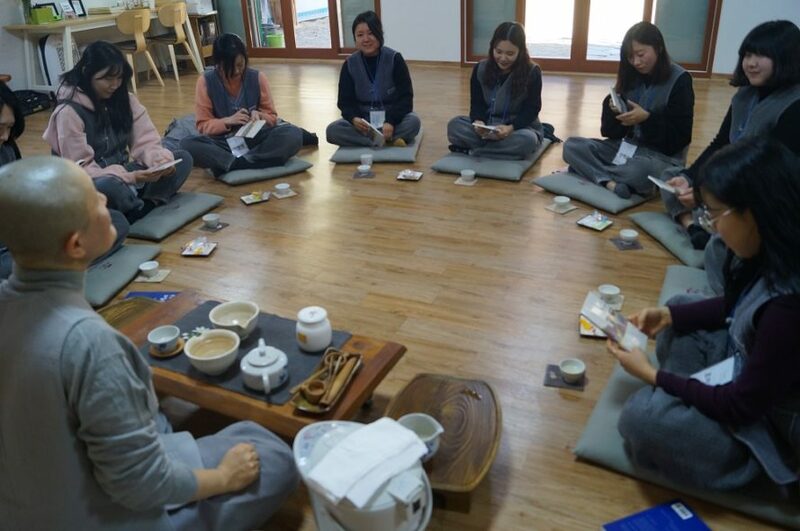 It is one of the meditations to practice of mindfulness and concentration through brewing and drinking tea. 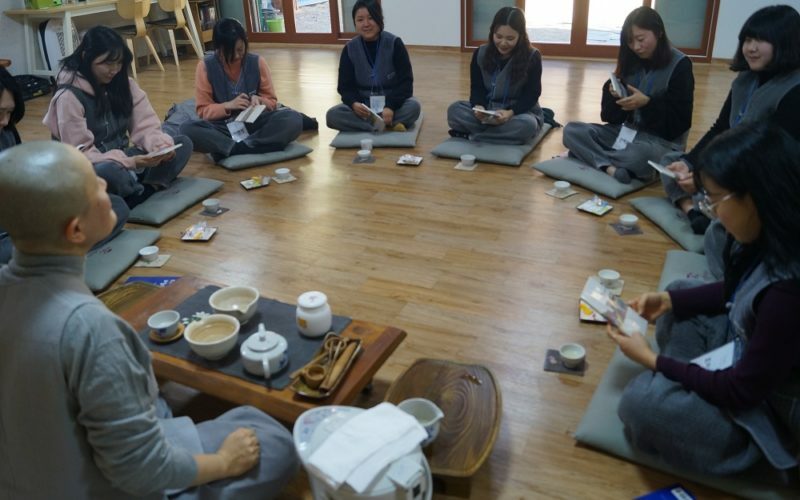 Tea and meditation are the same that is why it is said Da-Seon-il-mil. 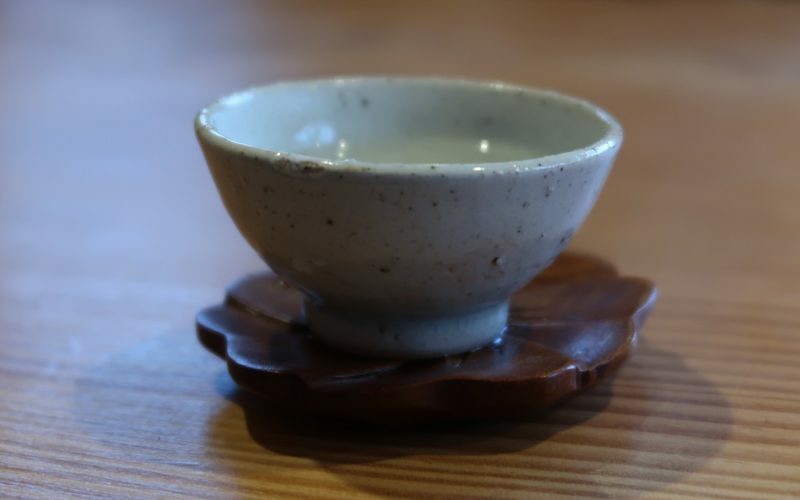 When you drink tea, your five senses work at the same time. Your eyes see the color, ears hear the sound of water, the nose smells the fragrance, the tongue tastes the flavor of the tea and your hands feel the warmth of the cup. 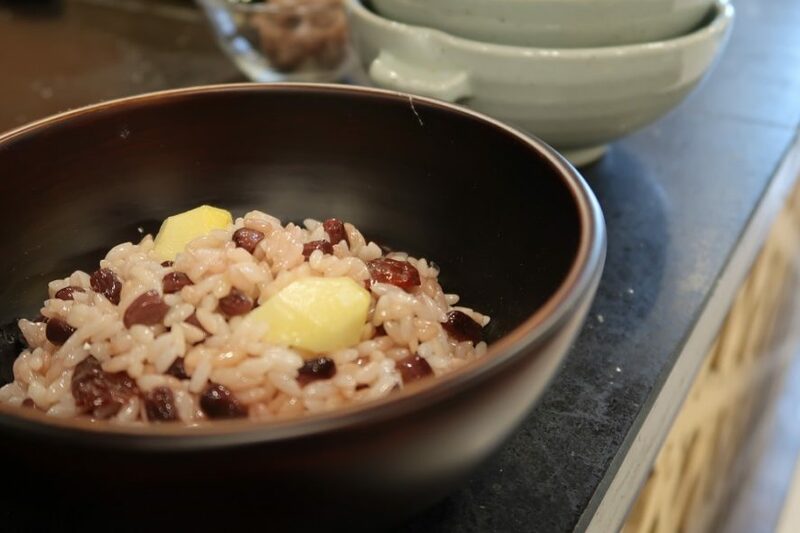 Temple food refers to the food eaten daily at Buddhist temples. 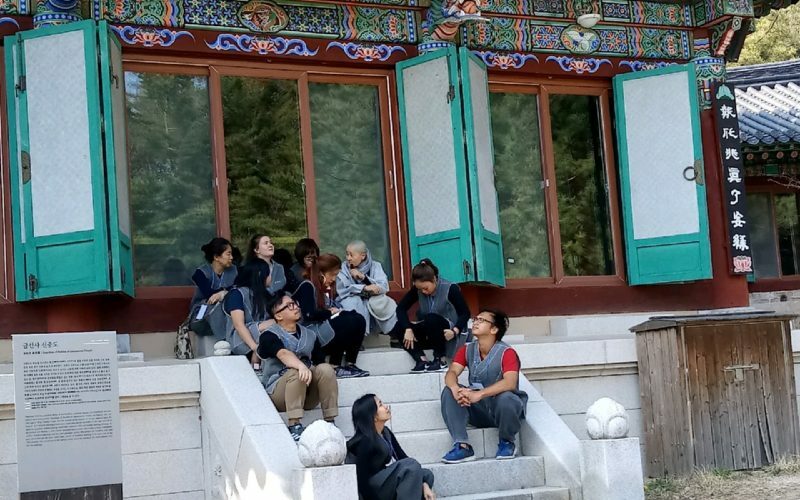 At Buddhist temples, everything is considered a part of practice. 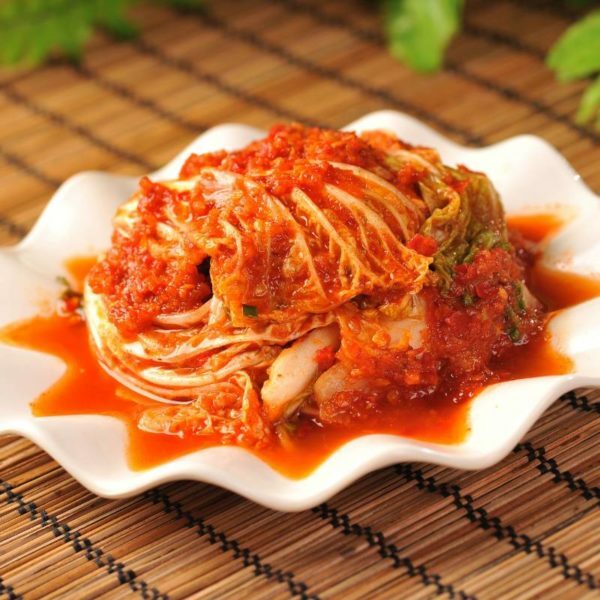 From growing vegetables to preparing the food. 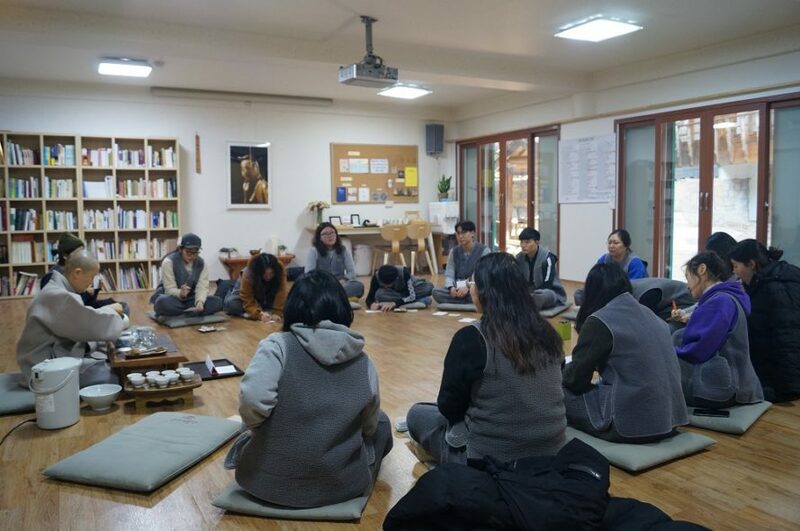 Monks and nuns are directly involved in the whole process. The Temple food is natural, healthy and also a part of Buddhist life. 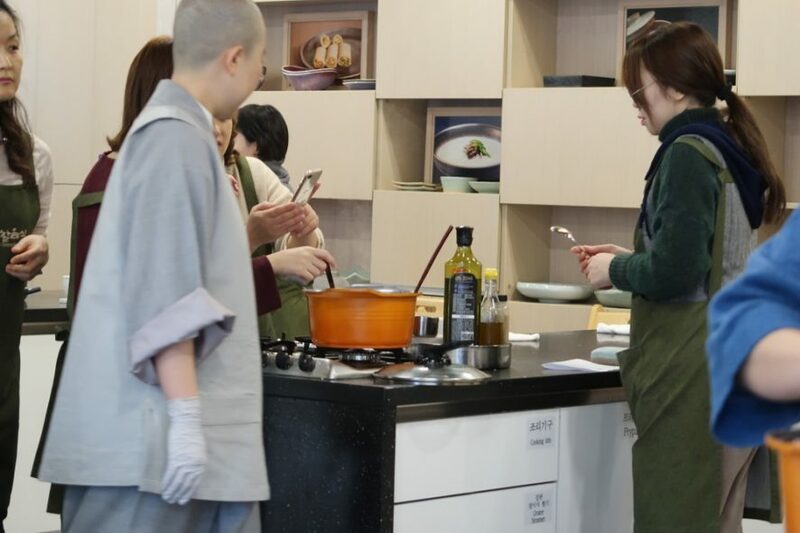 You can learn how to cook the temple food with a monk and after cooking class, you can eat the food together. 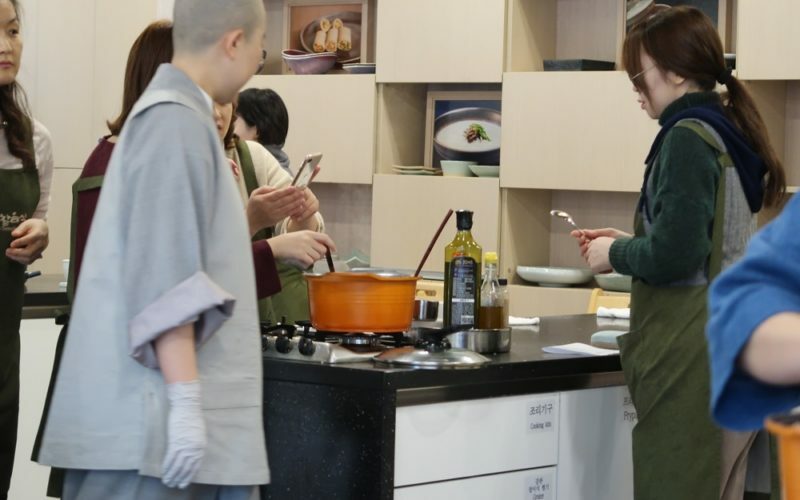 Also in the class, you will learn which ingredients are good for your health and why it is good from the monk. – Would you like to stay on Weekday (Tue. – Fri.)? GO HERE! 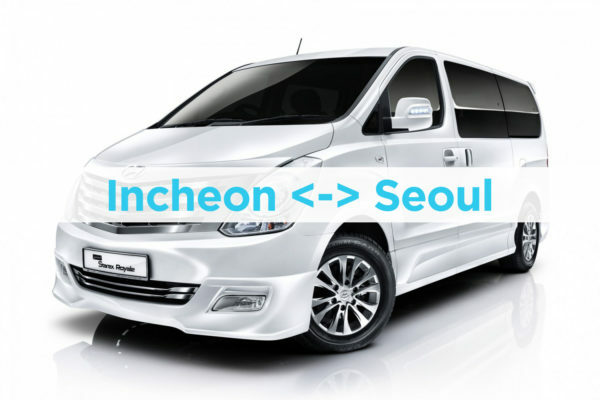 ** Tour must be booked minimum 2 pax! 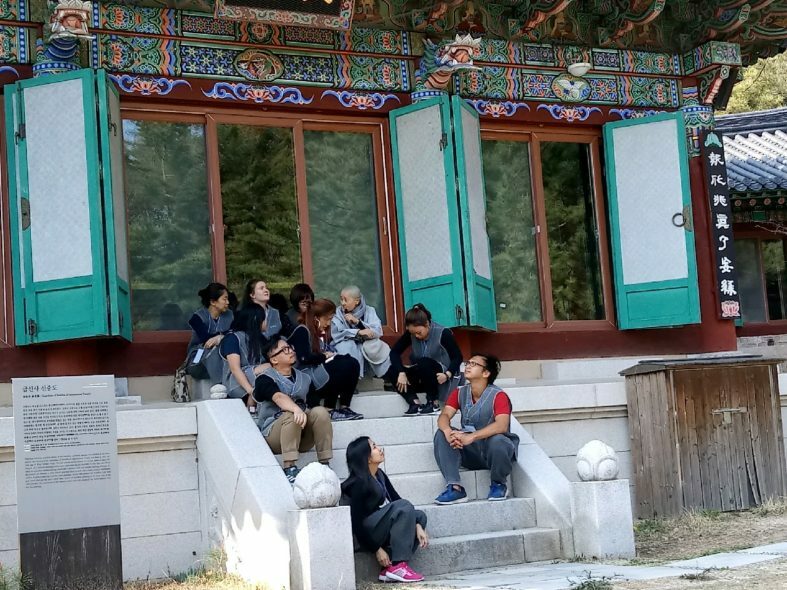 Drop off at Anguk Station after the tour! The same price applies to both adults and children. Please check what is included carefully! The pick up and drop off service is different by package types! 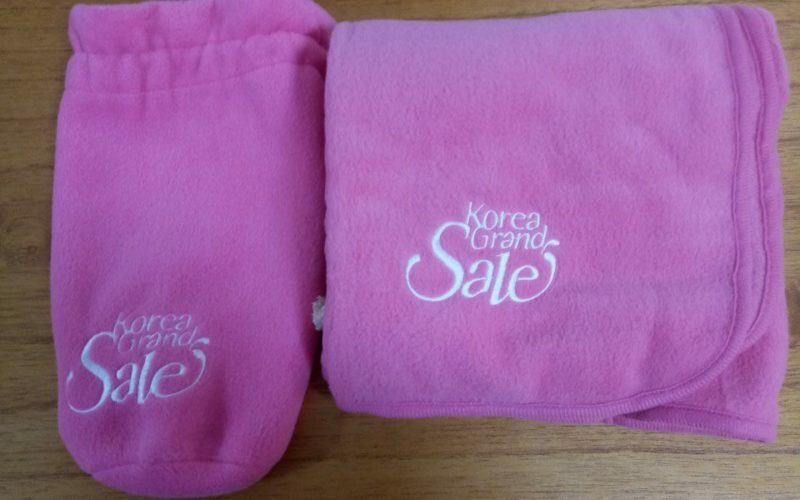 If you have a 'Korea Grand Sale' Ticket for the templestay, you will get some gifts from Guemsunsa Temple. 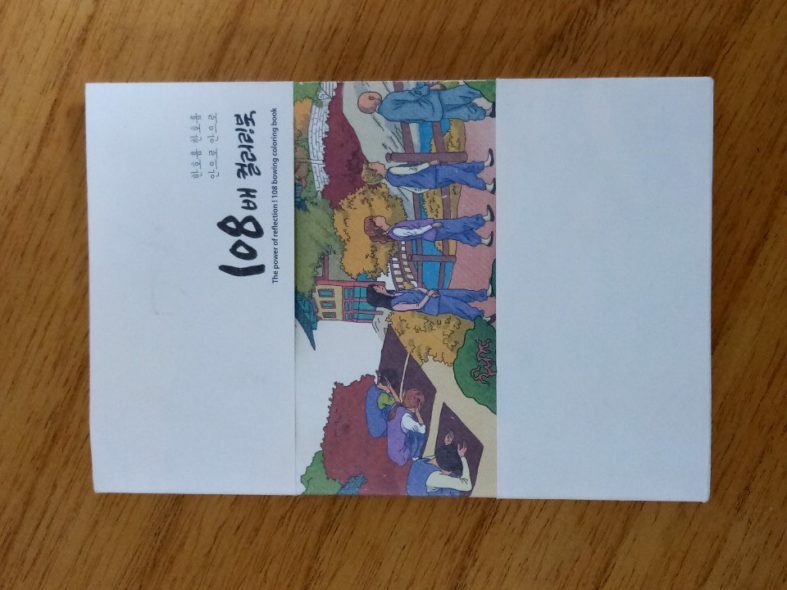 All foreigner will get the 108 coloring book from Guemsunsa Temple. 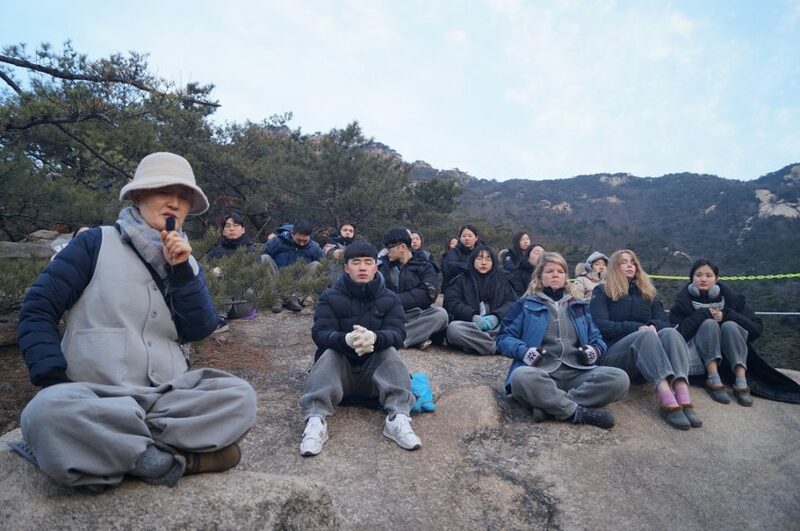 The 2D1N Templestay Package is not inc. drop off at the Ankuk Station on Sunday. * Please prepare your own dish towel! The menu will be changed every Saturday! 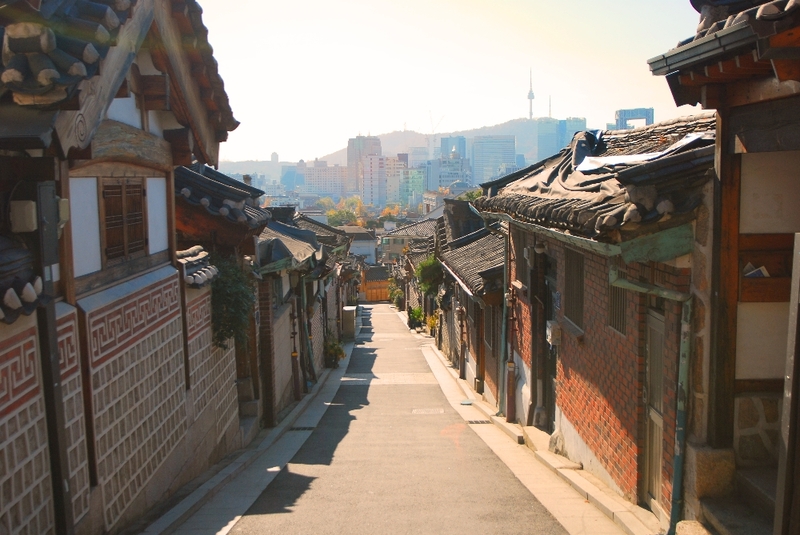 You will have time to enjoy Hanok Village (Korean Traditional Houses)! * The time arrangement could change due to traffic jam! 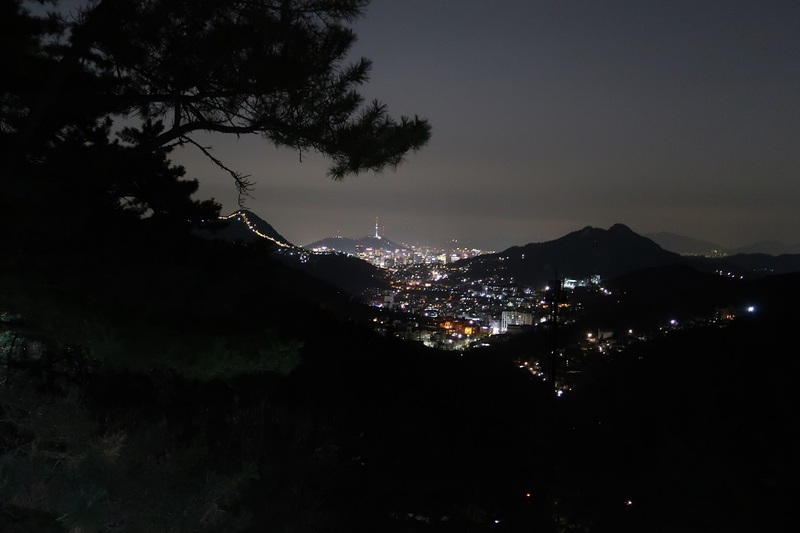 If you're traveling solo, please send us an email (info@koreatraveleasy.com)! 2. Take the green bus no. 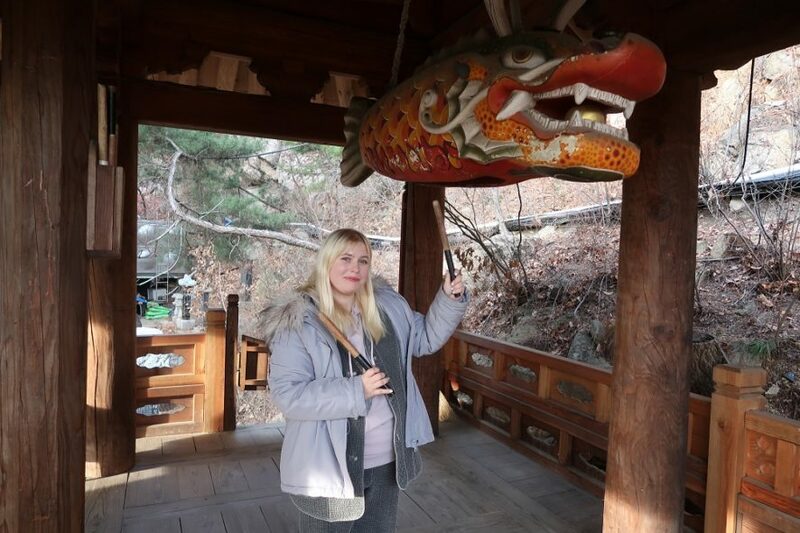 7212 and Get Off at the Gyeongbokgung Station Stop approximately after the 20-minute ride. 3. 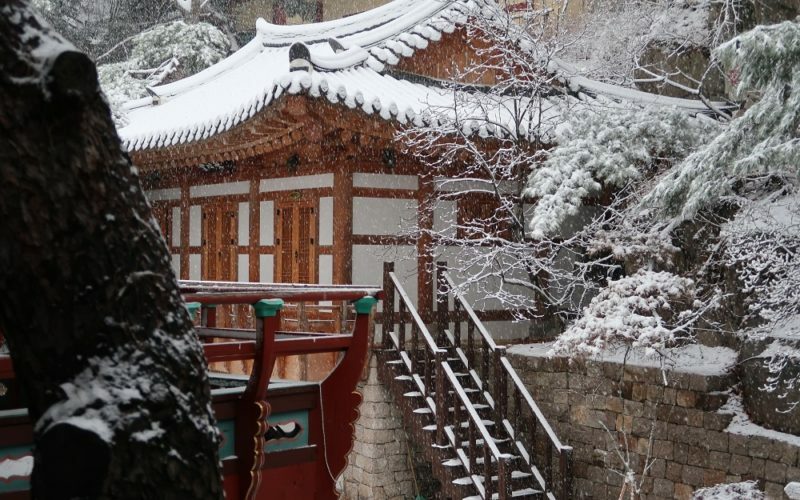 After getting off, you will see the Exit 2 of Gyeongbokgung Station Line 3. 4. Take the Subway Line 3 at the Gyeongbokgung station and go to your destination! 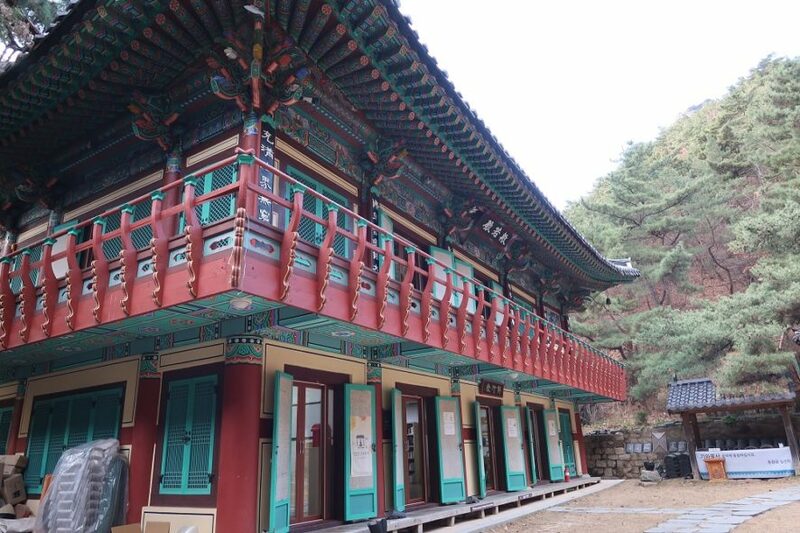 Ask any staff at the Geumsunsa Temple to call a taxi! 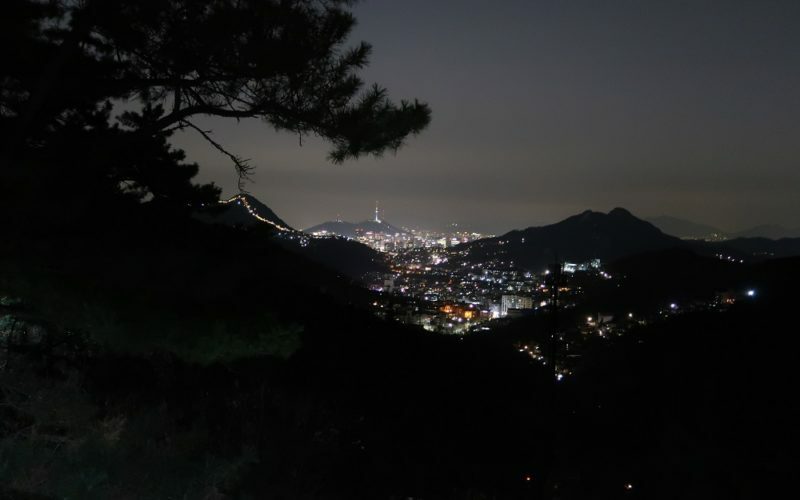 However, you need to go down until you see the Yibukodochung (이북오도청)! ONLY 1-day Templestay is provided drop off service in the evening to Anguk Station! Please arrive 10 minutes ahead to departure. The tour Van will not wait for those who are late. 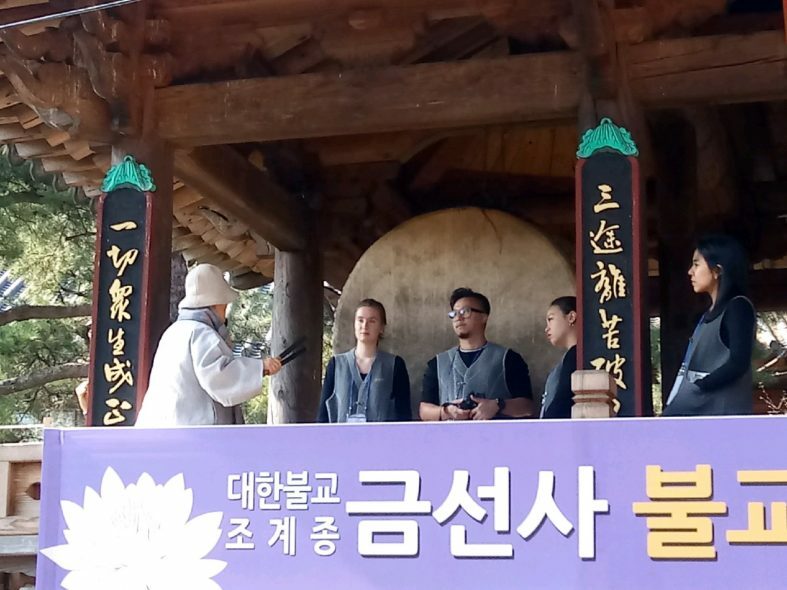 The itinerary is subject to change depending on traffic, weather conditions on the tour date. 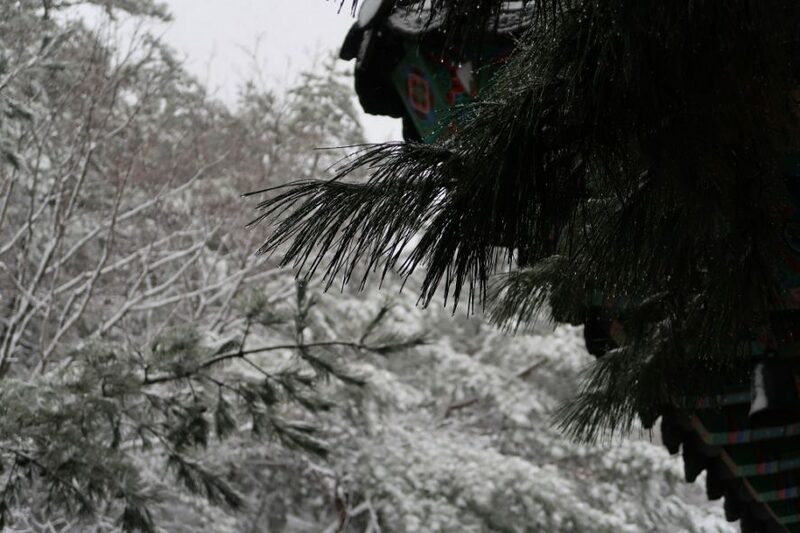 In the case of extreme weather and tour has to be canceled, you will be contacted for rescheduling or refund. 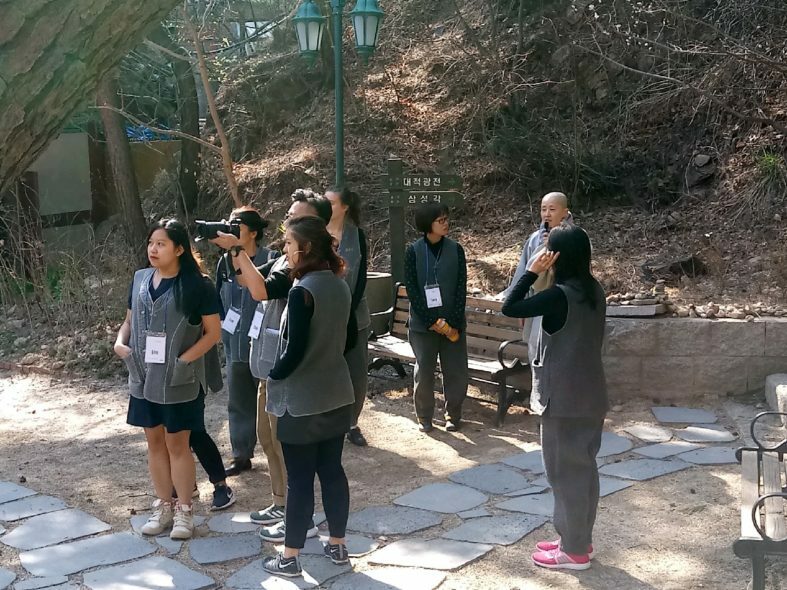 A uniform ( a vest and pants ) is provided during the stay for the 1N2D options. * What to bring: toiletries, a personal water bottle, loose clothes for sleep, an extra t-shirt, sneakers, and socks. 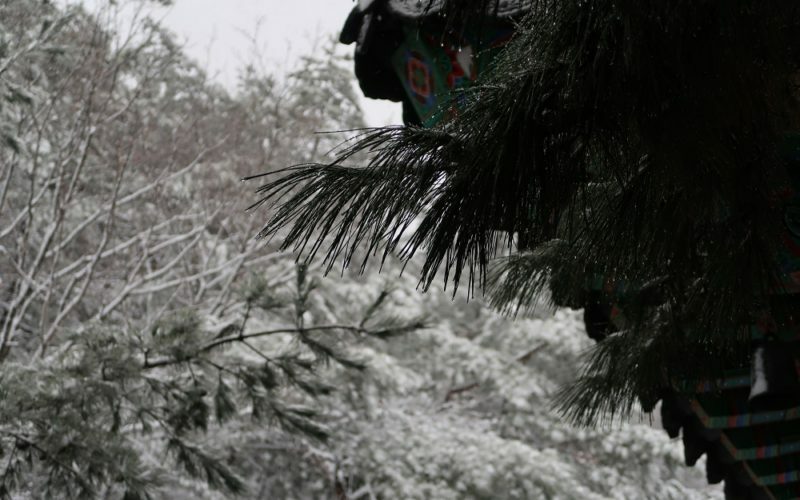 Remember that a sleeveless shirt or flip-flops are not recommended. * To request a reschedule, please contact us 5 business days (by 5 pm KST) before the selected date. * For the no-show on the tour day, we cannot refund. 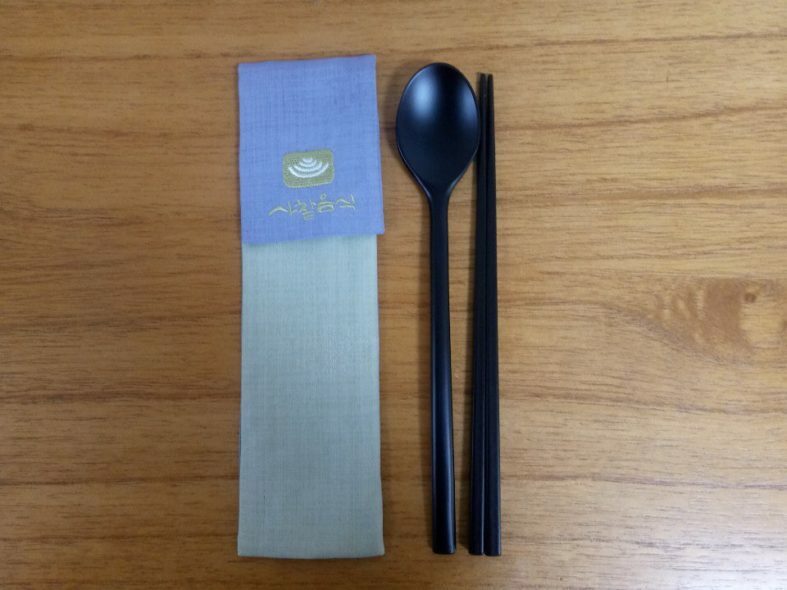 This package is available from Feb. 9th! This package must be booked min. 2 pax and max. 8 pax! 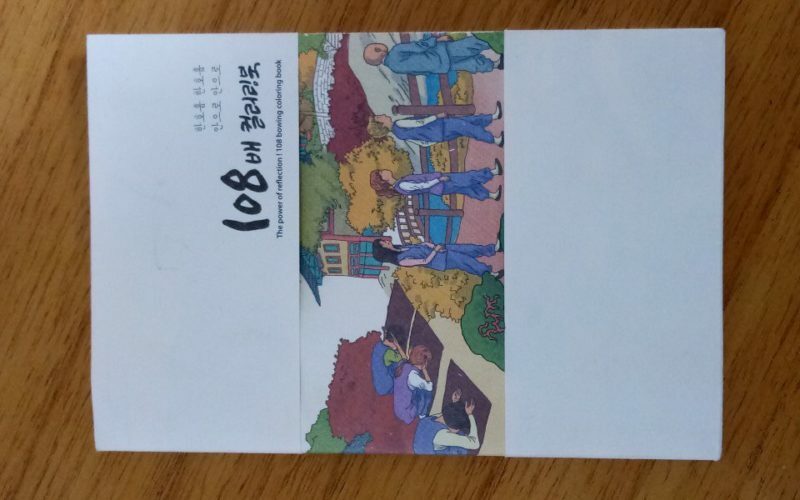 It will be applied for both daily and 2D1N package's total no. of ppl.